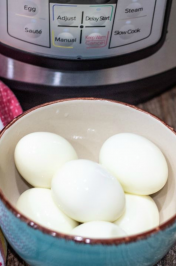 Are you struggling to get your kids to eat breakfast in the morning? Fear no more! 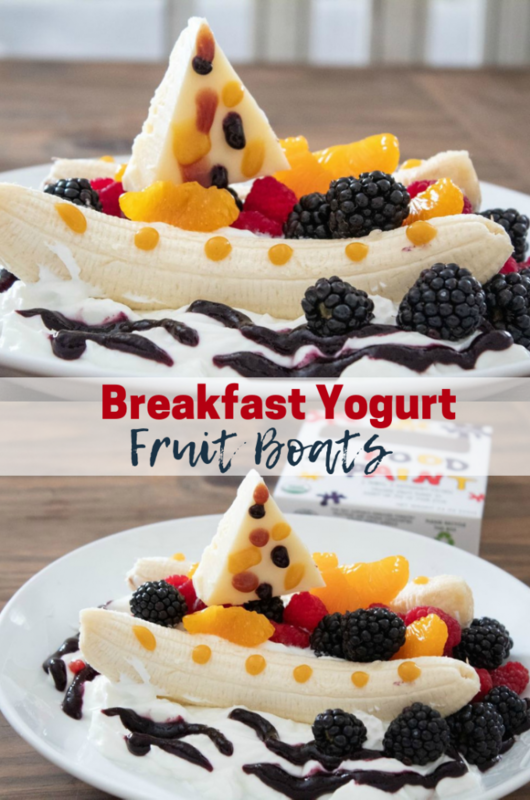 These Breakfast Yogurt Fruit Boats are delicious, healthy, and fun to eat. Your kids will be begging to make these for breakfast! Just don’t let them know these fruit boats are good for them. That will be our little secret. 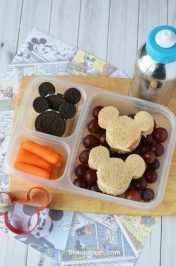 If you struggle to get your kids to eat a nutritional breakfast in the mornings, let me tell you about Noshi Food Paint. It’s been a game changer in my house. All my son ever wanted to eat for breakfast was hotdogs I’m not kidding!! Now he’s eating Breakfast Yogurt Fruit Boats with fruit, cheese, and yogurt. 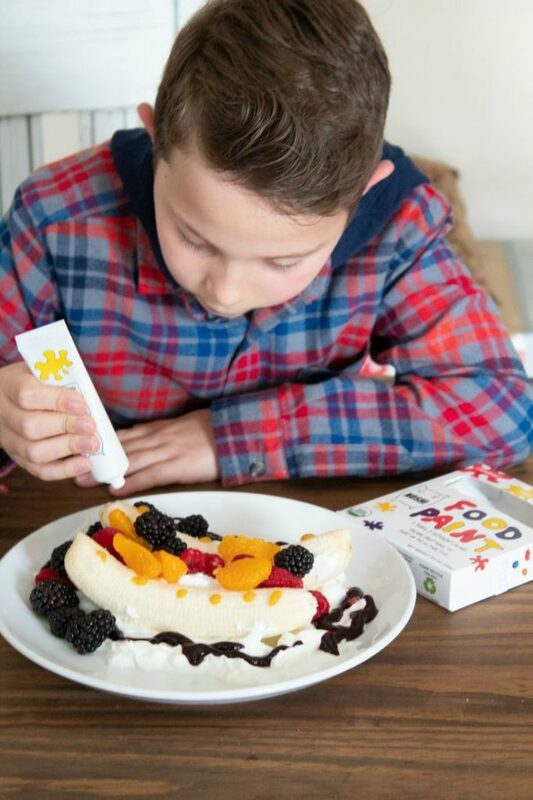 Noshi Food Paint is a condiment like maple syrup or strawberry sauce, except it comes in tubes – small enough for kids’ hands – that they can use to decorate their food. Also, it’s organic, gluten-free and healthy. It has low sugar content and it’s yummy. Which I love that it’s not full of sugar. 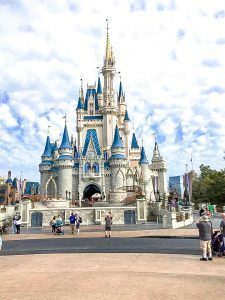 Noshi Food Paints gives kids more responsibility in the preparation of their food, both in the kitchen and at the table, which has been proven to make kids want to eat more of their food. 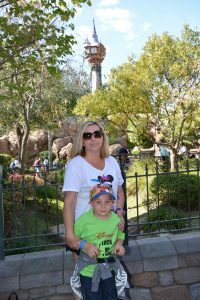 Children also take pride in helping with the preparation of the food and aware of the ingredients used and the time it takes to make it. 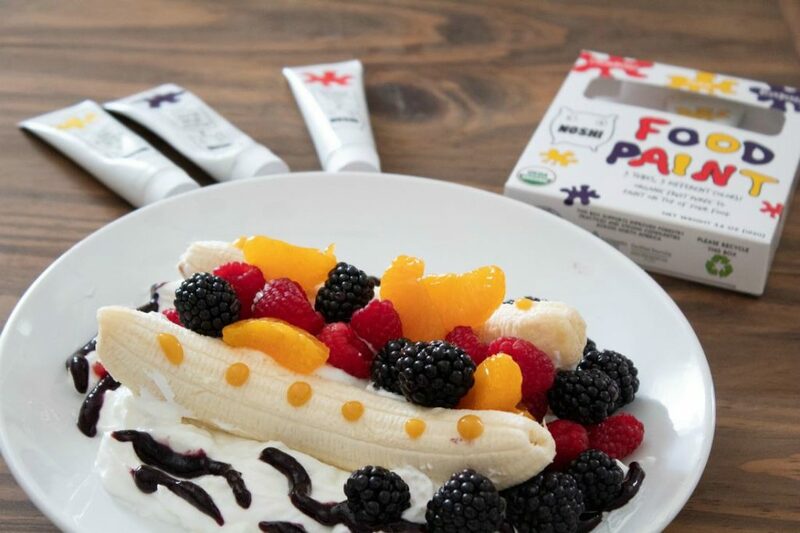 The kid-friendly food paints make mealtime more fun, especially if you a have picky eater like my son. It also gives kids a reason to want to come to the kitchen table and eat. 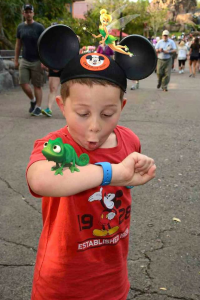 It puts a smile on my son’s face, and it will your kid’s face too. Also, it brings out their inner Picasso and encourages them to use their imagination. 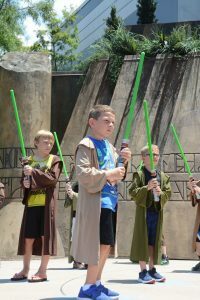 And, it encourages kids to focus on their food and they take mealtime more seriously. When I told my son about the food paint and that each tube contained a different brightly colored puree: red strawberry, yellow peach, and purple-ish blue blueberry he said: “mom we must make something with fruit for breakfast.” And, that’s how we came up with the Breakfast Yogurt Fruit Boats, which kind of reminds me of smoothie bowls, fruit bowls, and breakfast yogurt parfaits. First, we used a plate and spooned some Greek yogurt in the center. Second, we peeled two bananas and placed them across from each other on top of the yogurt. Third, my son put Greek yogurt in the middle of the bananas and around each of them on the plate. Then he used the purple-ish blue blueberry food paint to make the yogurt look like water. Fourth, he used his favorite fruit blackberries, raspberries, and mandarin oranges to fill the fruit boat. Last, we cut the sail for the sailboat from a block of cheddar cheese. 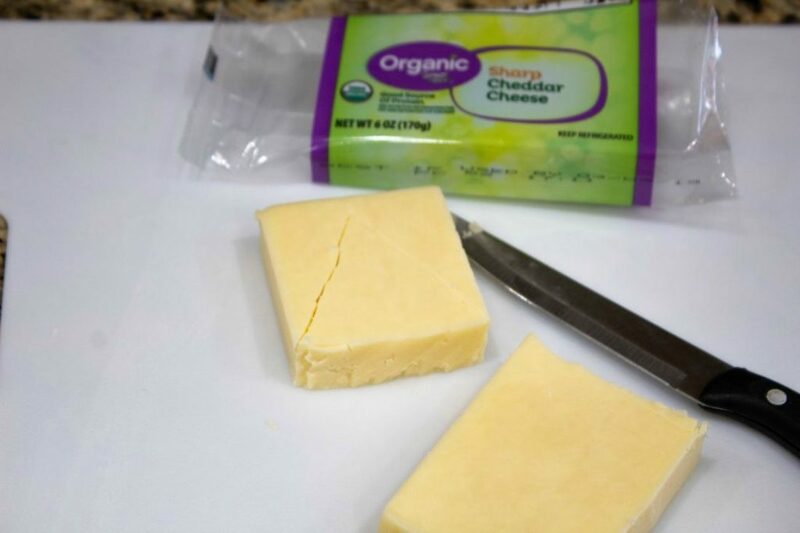 We carefully used a knife to make a triangle from the block cheese. Then we inserted a toothpick in the bottom of the cheese. Also, we stuck a blackberry into the bottom of the toothpick, and my son placed the sail onto his boat. Finally, my son decorated his breakfast boat with the yellow peach food paint. And, put polka dots on his cheese sail using all three of the food paints. Aren’t the boats cute? They make the perfect breakfast or healthy snack. Additionally, you could use a piece of apple or strawberry for the sail and make homemade whip cream to put on top of the fruit with granola for a yummy snack. 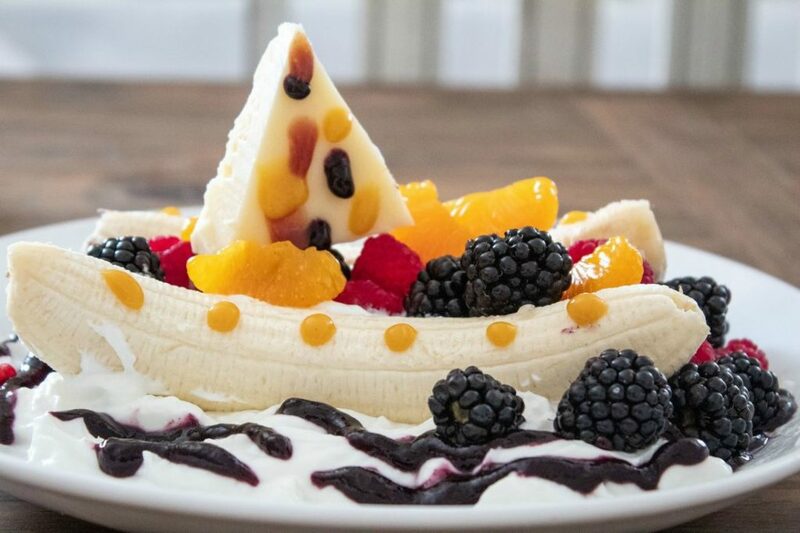 Serve the fruit boats with a spoon or two to share with a friend. Since we received the Food Paint a few weeks ago my son has been using each flavor to decorate his oatmeal, waffles, pancakes, peanut butter jelly sandwiches, bagels, muffins, and more. He has even eaten some of the puree straight from the tubes. He told me he loves the taste and the food paints make his food fun to eat. 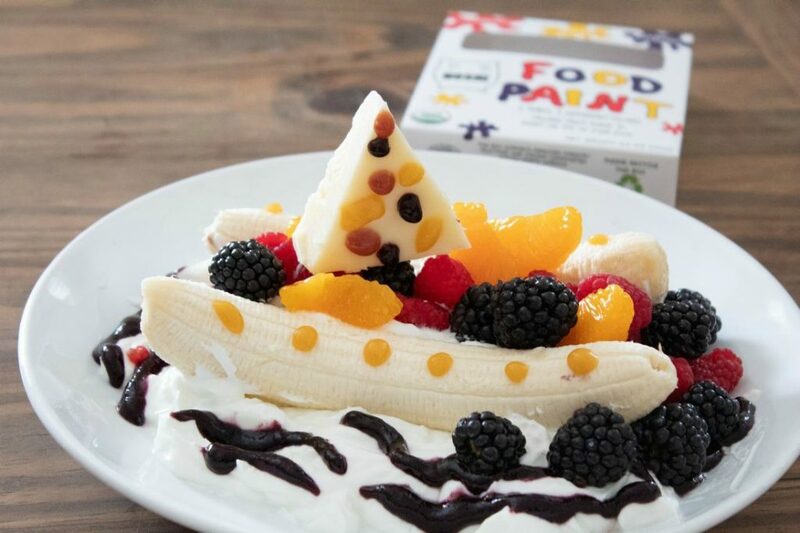 You can purchase Noshi Food Paint for just $6.99 on Amazon. 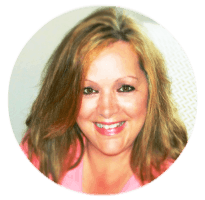 It works great as a party activity. 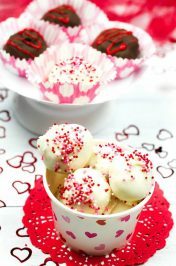 Kids can make an ordinary bowl of vanilla ice cream extraordinary or paint it on a cupcake! 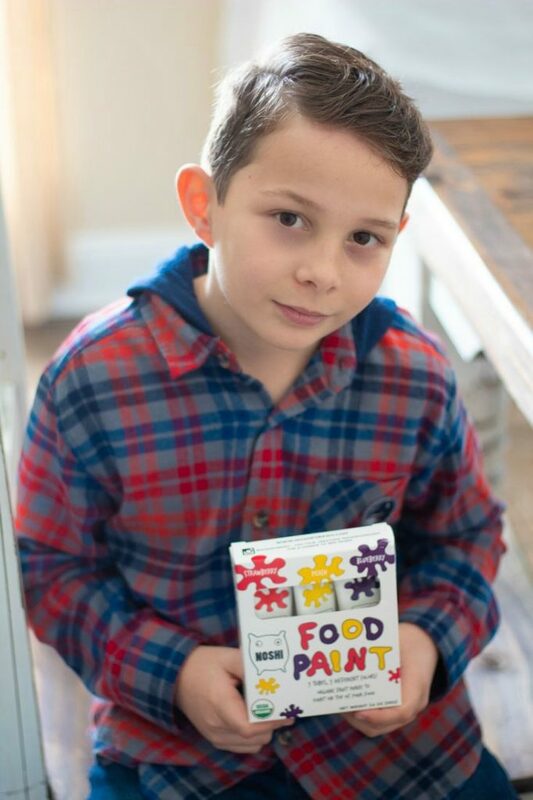 Also, Noshi Food Paint makes a great gift for a kid (or a parent!). 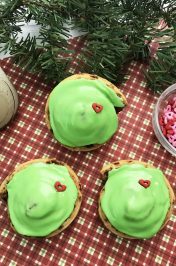 You can pair it with a box of pancake or waffle mix, or a kid-sized apron and toque to make it even more special. 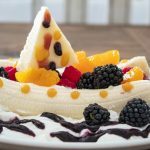 Easy and delicious Breakfast Yogurt Fruit Boats using Noshi Kid-friendly Food Paint. First put Greek Yogurt on the center of a plate. 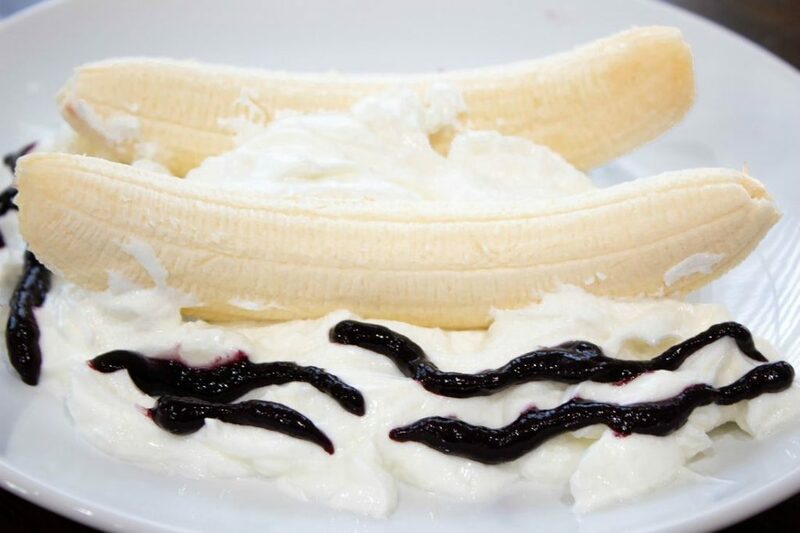 Peel two bananas and place them on top of the yogurt across from each other. Next, put yogurt in the middle of the bananas and around the bananas on the plate. Fill the middle of the bananas with the fruit. Cut a triangle from the block cheddar cheese and stick a toothpick in the bottom of the cheese. Stick a blackberry in the bottom of the toothpick and place the cheese sail on the boat. Decorate the Greek Yogurt with the blueberry food paint for the water. Decorate the cheese sail using all 3 food paints. 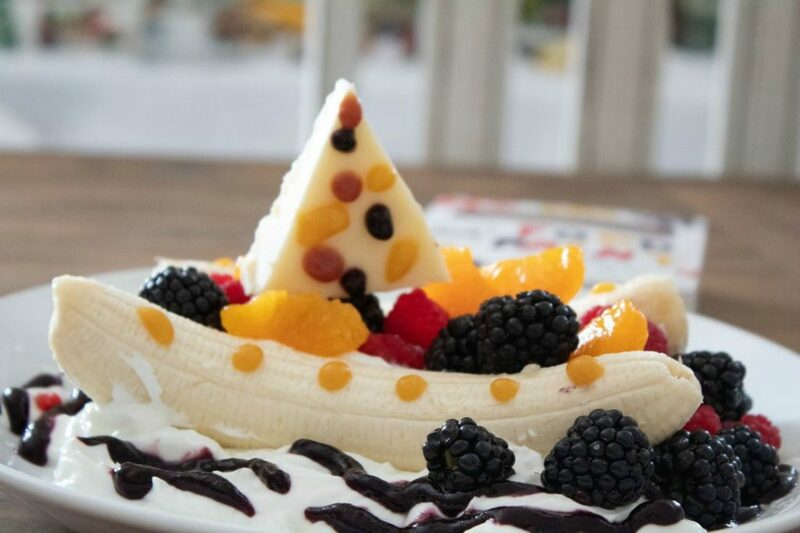 And, decorate the banana boat with any color food paint. Serve with a spoon. Could add granola or raisins. May use a pretzel instead of a toothpick for the sail. Could use any flavored yogurt or plain Greek Yogurt with your favorite add-ins. Those food paints look so fun! I just love Greek yogurt! My kind of breakfast. I love yogurt and so is my kids. omg this is too cute! reminds me of a banana split. this has me wanting yogurt!